Well I’ve got to stick them somewhere! Posts have been a bit light these past few weeks as Curstie and I had promised ourselves, at the beginning of the year, we’d crack on with our house renovation and a lot of redecorating. I’m just about to start another day of sanding down walls and woodwork and spotted this via Facebook. 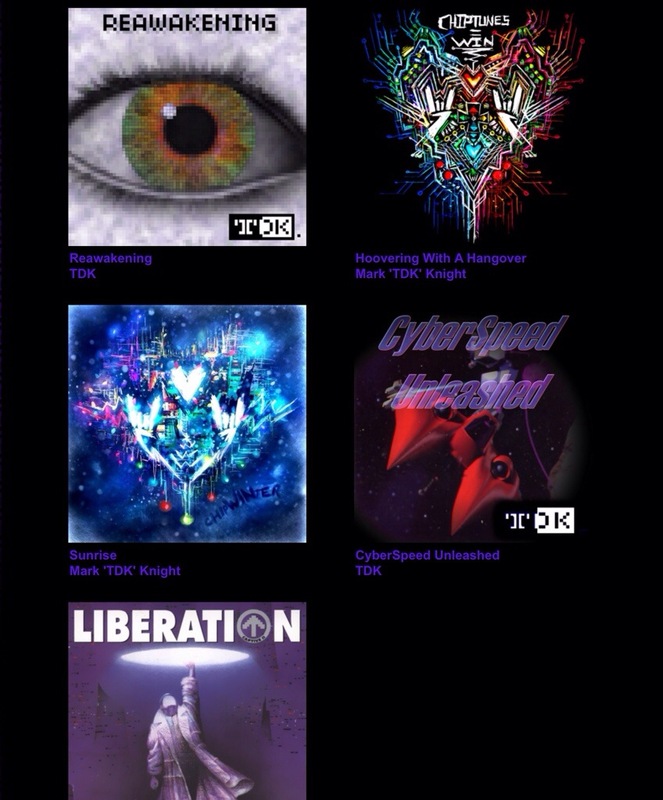 Chip tune artist TDK is offering all of his digital albums at a price to suit yourself. TDK is an oldsk00l chiptune composer from the Commodore 64/Amiga demoscene. A member of Melon Dezign and Anthrox, his music often appeared in Crystal cracktro’s for the Fairlight group. He has also composed the soundtracks to games such as Captive 2: Liberation, Duke Nukem: Total Meltdown, Dungeon Keeper 2, and Populous: The Beginning. Mark is also an accomplished electric violinist. Better get started – I love the smell of plaster dust in the morning! Those I.T. issues at work that I mentioned in my last post pretty much carried on throughout the week and at one point I think I only managed an accumulative 8 hours of broken sleep during a period of 72 hours…and that was after the 24 hours stint (yep, poor StiGGy 🙂 ). I think we’re pretty much back to normal now but man am I ready for some downtime. The end is in sight because it ends at 8am tomorrow morning when the rota flips over to another technician and I can finally switch off my works phone, have one final day in the office and then the Christmas holidays can begin….yaaaaaaaaaaaay! Of course, with all the to-ing and fro-ing and keyboard bashing there’s been absolutely no time on the last week before the holidays for getting everything ready for the festivities. Thankfully, and all credit goes to my lovely wife for being so organised, we’d completed our gift shopping at the end of November so at least we don’t have to hit the crowds again, have the cards written and despatched, drinks and party food shopping done and probably the latest it’s ever been, our tree is finally up and the house is festooned with seasonal decorations. T-minus 18 hours to go until 8am….in the meantime, mince pie anyone? My kinda store front…..wouldn’t shopping be so much more fun? …my kinda ugly Christmas jumper. Set engines to Sloth speed. Thank god for all things wireless this week as it appear that my knees have decided they need a holiday and have buggered off somewhere south leaving me a bit stuck and in quite a bit of pain. I was out jogging one morning with Mrs StiGGy and part way through our route we had to stop as my knees seemed to be aching and became rather stiff all of a sudden. Rather than risk injury I didn’t run for a few days until all felt well again. Fast forward a few days and on another run and this time it was much worst, In fact later on that day at work, the ol legs stiffened up so much that i couldn’t bend them without great effort and shooting pain. With a walk like that I would have had no problems starring in a B movie monster flick 🙂 The drive home was fun too! Over the next few days I tried to take it easy but it appeared to be getting worse, especially the inside sides of both knees so i booked in to see my GP, who we’ll now refer to as Dr Death because I’m pretty sure he was smiling as he prodded and poked my poor knee bits….no not really, he’s rather a nice chap. Anyho he’s says I’ve probably done this and that and, although it could take some time , it should heal itself and I should take it really easy and revisit him next week as he takes delivery of a new hammer. I also have some rather nice medication that actually enables one to fly and gives the ability to smell the colour orange. Lucky for me I’d previously booked a few days off work this week….disappointingly though, it was because i was planned on heading over to Wales to camp and a hike up Mt Snowden. No matter, it can wait a month or so. Hope you don’t mind if I take the opportunity to pat myself on the back, as today marks two years since I quit smoking cigarettes. As well as all the obvious benefits of course, it’s so nice to have a few extra gold coins for the odd retro gaming treat, be it hardware or software that otherwise would have been spent on cigarettes. 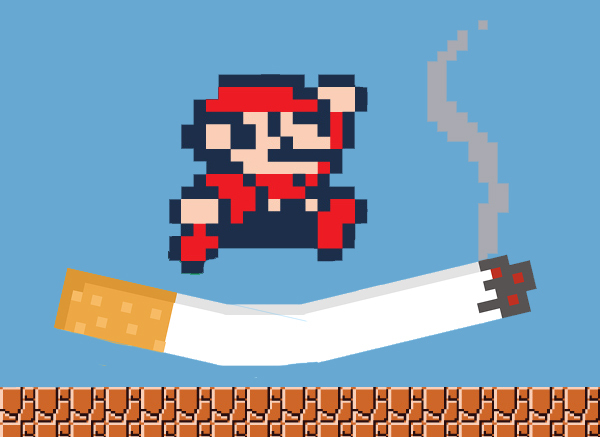 The very best of luck to everyone who is thinking about or currently in the process of quitting.